The Nevada and Michigan Departments of Transportation are the newest members of the Aurora Program. 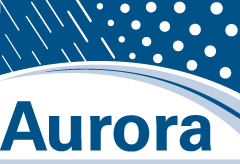 Both agencies joined Aurora in 2008 to improve their RWIS and winter maintenance programs. This information will help agencies select the best facility for their projects and learn about related projects. In summer 2007, Aurora partnered with Clear Roads, the Snow and Ice Pooled Fund Cooperative Program (SICOP), FHWA, and the Pacific Northwest Snowfighters to host a National Spring Maintenance Peer Exchange. Participants in the peer exchange identified 27 major research areas of importance to the winter maintenance community. 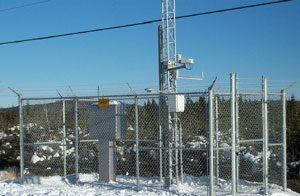 Northern Ontario’s secondary highways are challenged by a combination of heavy, low-frequency traffic and a high number of freeze-thaw cycles every year, which together cause environmental damage and premature traffic-inducted roadway deterioration. Aurora’s analysis of pavement performance on these roads indicated that earlier and extended periods of load restrictions could protect the pavement infrastructure and that better scheduling could result in up to six years’ additional service life for the pavement. Michigan spends significant amounts of money on snow removal/maintenance every year. The state also has many crashes each year due to poor weather conditions. In 2008 the Michigan Department of Transportation (MDOT) joined Aurora with the goal of providing the public with better roadway maintenance and timely and accurate information to help reduce crashes, injuries, and fatalities. Dawn Gustafson, Michigan Superior Region traffic and safety engineer, says that Aurora has helped “provide a better understanding of what is available” and “what works for which purposes.” She also states that Aurora helps MDOT look at prospective solutions to specific issues, and different methods for construction, maintenance, and operation of RWIS and Environmental Sensing Stations. 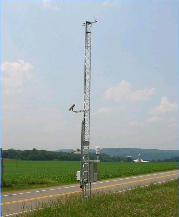 Aurora provides advice as the MDOT develops specifications for installation of RWIS.